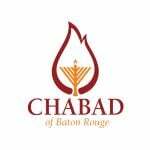 Join us at Chabad, 2811 Calanne Ave, on one Sunday of every month at our BLT club. Learn about Tefillin, how to wear them, and to recite a short prayer. Prayer in Hebrew with easy to follow English instructions, translations and explanations. Followed by a scrumptious breakfast, with Bagels N' Lox & more .